Perfect-Suv.LTD +29.25 Received Payment 29.25 USD from account U18016781. Memo: Shopping Cart Payment. Withdraw to FairMonitor from perfect-suv.co. Perfect-Suv.LTD +3.53 Received Payment 3.53 USD from account U18016781. Memo: Shopping Cart Payment. Withdraw to FairMonitor from perfect-suv.co. Perfect-Suv.LTD +18.00 Received Payment 18.00 USD from account U18016781. Memo: Shopping Cart Payment. Withdraw to FairMonitor from perfect-suv.co. Perfect-Suv.LTD +15.00 Received Payment 15.00 USD from account U18016781. Memo: Shopping Cart Payment. Withdraw to FairMonitor from perfect-suv.co. Perfect-Suv.LTD +3.00 Received Payment 3.00 USD from account U18016781. Memo: Shopping Cart Payment. Withdraw to FairMonitor from perfect-suv.co. Perfect-Suv.LTD +4.89 Received Payment 4.89 USD from account U18016781. Memo: Shopping Cart Payment. Withdraw to FairMonitor from perfect-suv.co. Perfect-Suv.LTD +12.00 Received Payment 12.00 USD from account U18016781. Memo: Shopping Cart Payment. 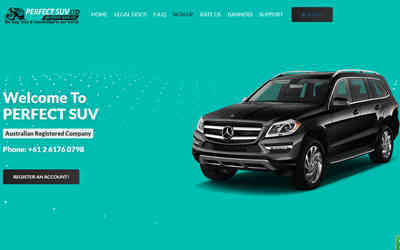 Withdraw to FairMonitor from perfect-suv.co.